International nonprofit Last Chance for Animals (“LCA”) has released an explosive undercover investigation that exposes the extreme abuse of laboratory animals at one of North America’s largest Contract Research Organizations. During a four-month period in 2016, an LCA investigator worked undercover at International Toxicology Research (ITR), a Canadian based facility that is hired by pharmaceutical, beauty, and wellness companies worldwide to test the toxicity of their products. 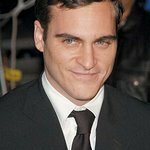 This unprecedented investigation captured numerous violations of animal welfare regulations on hidden camera, including the suffering of pigs, monkeys, and beagles, as narrated by actor and animal rights activist, Joaquin Phoenix. LCA’s expose is the largest ever conducted in a North American animal lab. Scientific innovation continues to render the use of animals in laboratory testing, and medical trials unnecessary. LCA’s investigation revealed, animals used in medical tests are not only subject to the pain, neglect, and deprivation caused by medical procedures, but are often also the victims of unrelated abuse and mistreatment. Click HERE to view the investigative video. •	Animals thrown, slammed, suspended by their ears or limbs, and struck with such force that the impact can be heard on the investigator’s recording. •	Open wounds and swollen infections left untreated or inadequately treated. •	Animals subject to painful and distressing procedures in full view of other animals. •	Technicians instructed not to take note of hair loss in macaque monkeys, despite it resulting from repetitive behaviours developed through the stress of confinement, and despite guidelines requiring that behavioural well-being indicators be measured. •	Inadequate housing where animals were confined without appropriate bedding or flat area to rest; where animals were exposed to constant loud noises and harmful levels of gasses due to the build-up of urine and faeces behind their cages; and where animals risked being caught in the wire grilling of their cages. •	Beagles unable to ever fully turn around because they were constantly tethered with a catheter inserted between their shoulder blades. •	An anecdotal instance of a macaque monkey being left unsupervised while restrained in an inhalation device and subsequently suffocating to death. All of the animals documented by LCA’s investigator were killed at the end of the studies they were used in, except the macaques. This species is commonly subjected to multiple studies over the course of their lives, which can be as long as thirty years. LCA is calling to abolish the use of animals in research, teaching and testing methods. Sign the petition calling for prosecution of ITR labs and all individuals responsible for this cruelty: click here.